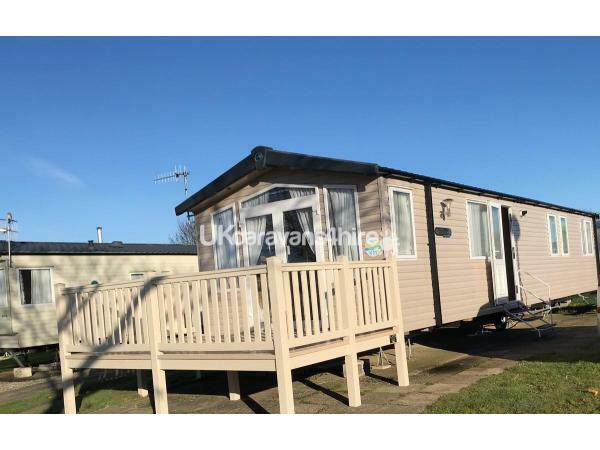 Our beautiful caravan is sited on a large corner plot giving parking space for 2 cars. 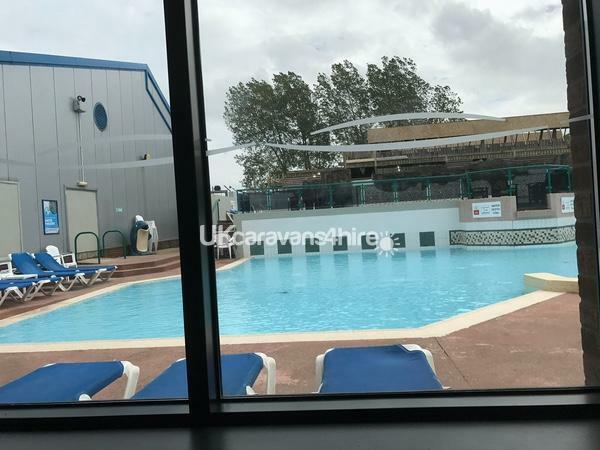 Ideal location for accessing all areas of the holiday resort which include indoor/outdoor pools, entertainment centres, restaurants and both daytime and evening activities for all the family. The golden sandy beach is only a short walk away. Entertainment passes need to be purchased separately via reception, please ask us if you would like to know more about prices and what's included. 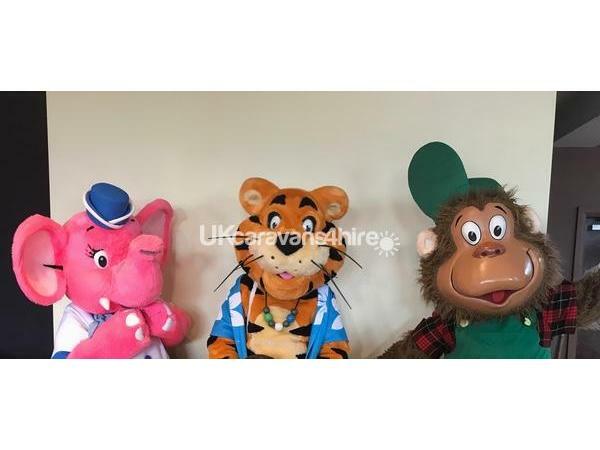 Guests have use of the DVD player and selection of movies for all the family, plus children’s toys and also a Nintendo wii entertainment system with a selection of games to choose from. There is also a tv with built in dvd player in the master bedroom. Bedding is provided as part of the cost. Please look at our photos for more information. 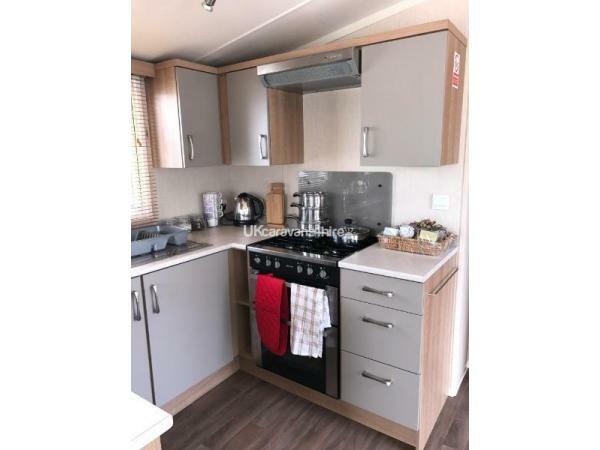 You can be assured that the caravan is always professionally cleaned before your arrival, ensuring that you always get clean, tidy and fresh accommodation every time. 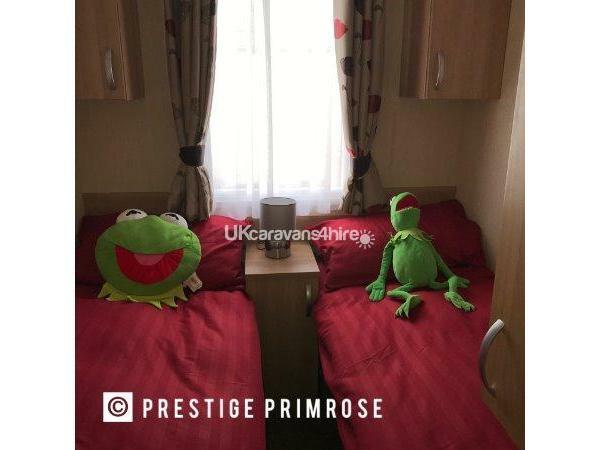 As you arrive you will find an information pack giving you all the information you need about the caravan itself, the holiday park and the local area along with a welcome basket with the essentials such as tea, coffee, milk etc to help you settle in on arrival, Invaluable should you have never visited Primrose Valley before. Update: Decking new for 2018! 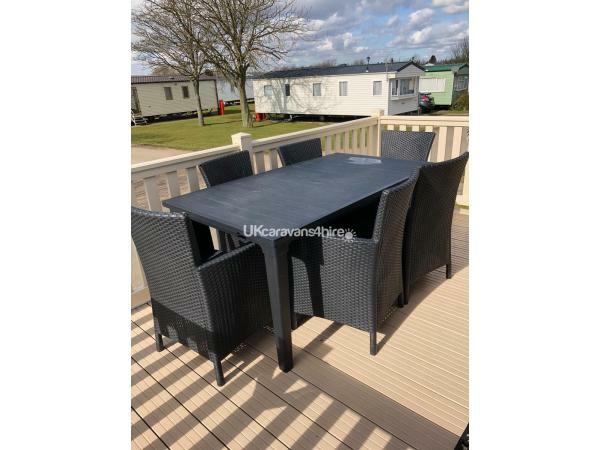 With large garden table and 6 chairs. We have also purchased a travel cot, highchair and bed guard which is available to families with young children for your holiday stay. Please note: guests need to provide their own bedding for the travel cot. 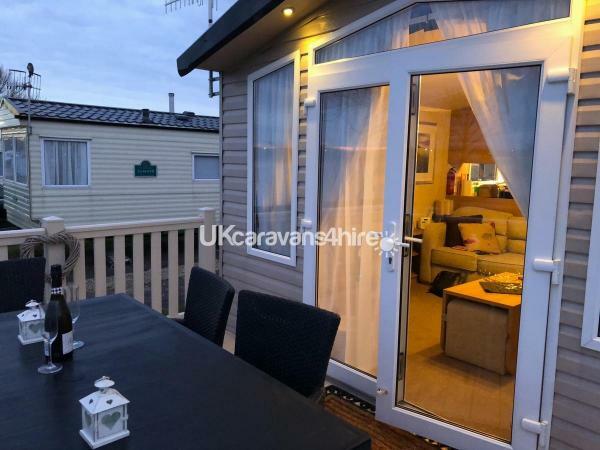 Outdoor seating is provided in two ways, either by relaxing on the veranda or at the picnic bench at the side of the caravan easily seating 6 people for those long summer evenings eating and relaxing outside. 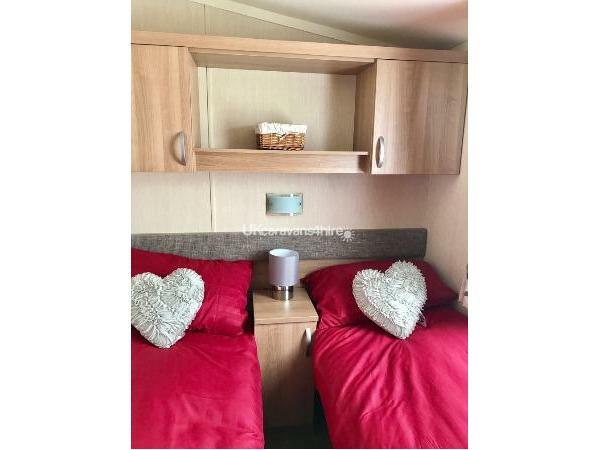 To ensure your comfort and safety, the caravan has a smoke alarm, carbon monoxide sensor and fire extinguisher. 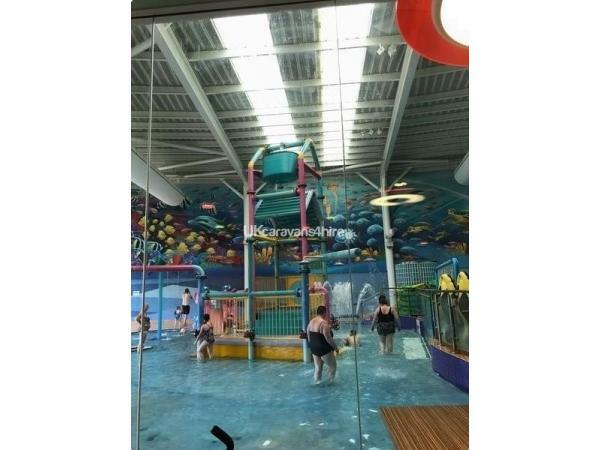 Primrose Valley (Haven) is located nr Filey and has so much on offer for all the family including 2 indoor pools, 1 outdoor pool (May-August), boating lake, amusements, restaurants, daytime and evening entertainment, crazy golf and climbing wall to name a few. 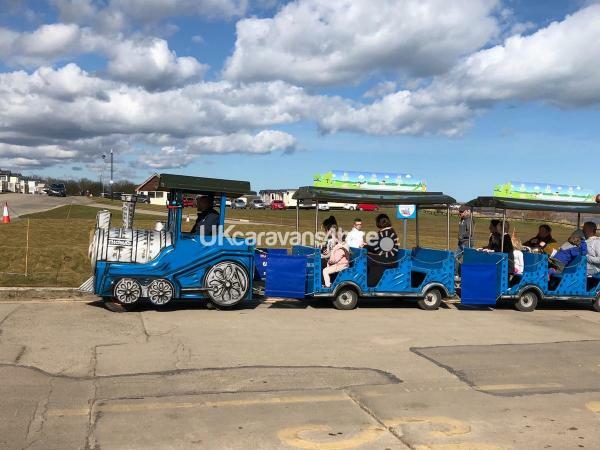 The park looks out over a 5 mile stretch of golden beach and Bridlington, Filey and Scarborough are close by reached by bus, taxi or car. Plenty to do for all the family. Strictly no smoking, no pets allowed or hen/stag parties. Lead hirer must be over 21 years of age. Lettings are Mon-Fri and Fri-Mon. If you have any other requirements to that please let us know and we will consider it. Lastly if you are celebrating a special occasion, we can arrange special packages on your arrival such as flowers, a birthday cake, chocolates, wine etc for an additional cost. Please enquire for more information. Check in time on day of arrival is 2pm, and check out time is 10am on the day of departure. 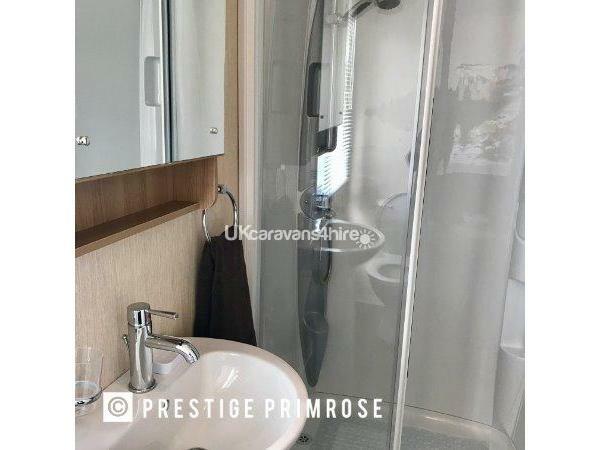 Please contact us at primroseprestige@hotmail.com with any questions and queries and please look at our availability calendar for dates and prices. No reviews found. 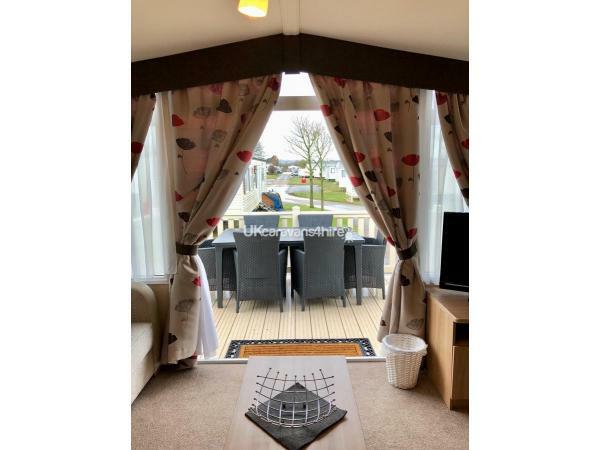 If you have recently stayed in this holiday home please leave a review, it only takes a few moments and will really help future guests when they are searching for holiday accommodation at Primrose Valley (Haven).